Spring! Just the word makes me feel optimistic. Lighter mornings and everywhere the green of new growth. Daffodil trumpets standing proud above white snowdrops, lavender crocuses and pastel primroses. Driving around the locale my eyes are drawn to blooms peeping through verges, each one gives a little lift. 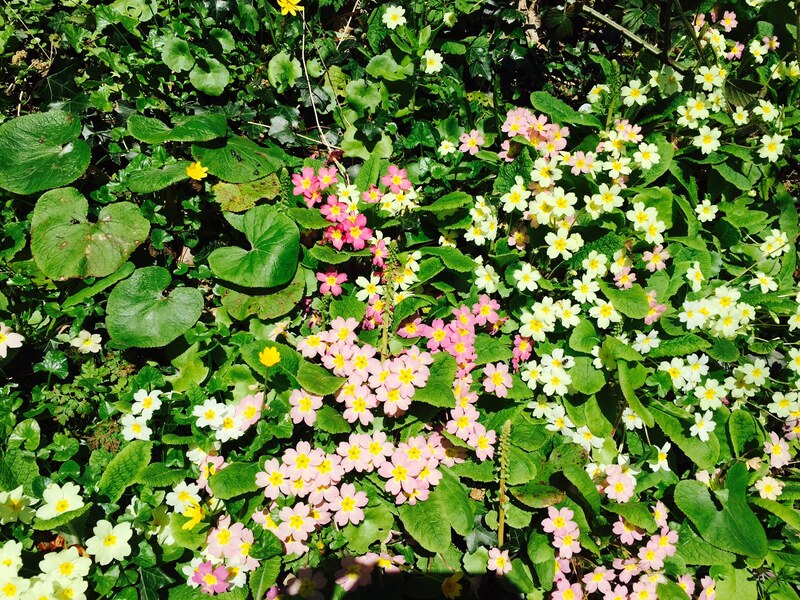 Strolling down a country lane in Pembrokeshire recently, I spotted the wild primroses in the photograph, growing in waves like coloured rugs thrown over the banks and hedges, I love the fact that no one planted them, they are just there delicate and optimistic. All living things have a cycle, don’t they? A beginning, a middle and an end or put another way death, decay and renewal. It’s omnipresence is one of the few certainties in life, the knowledge we will all have an ending one day, so little wonder we appreciate signs of renewal, perhaps it gives us hope? Whilst on the sojourn in Pembrokeshire I was reminded of the finality of death over a family lunch in the The Jolly Sailor pub. 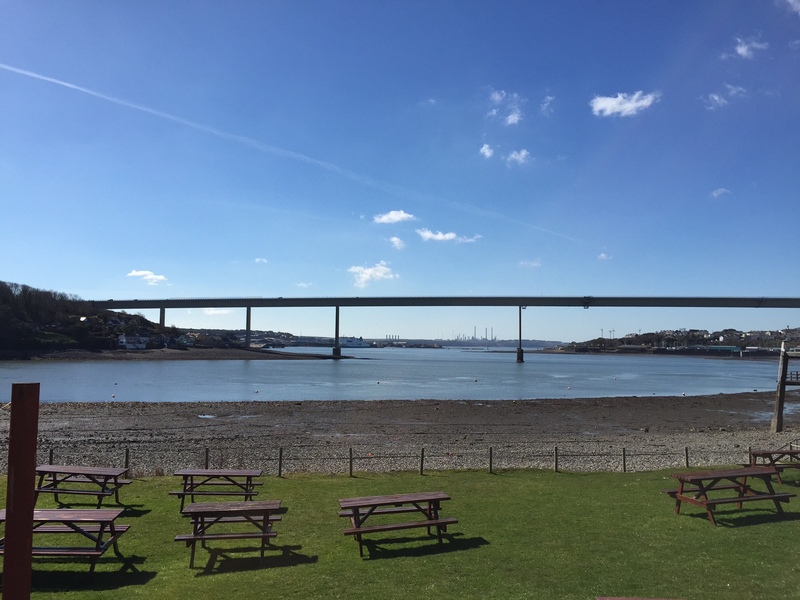 Feasting on slow cooked Welsh Lamb and roast potatoes, we marvelled at the breath-taking view of the Claddau Bridge, its span stretching across the high blue sky above us. Although very much a man made structure, we soon learned its ‘beginning’ was a rather tragic one. 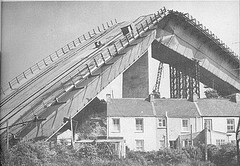 My father-in-law David was a policeman in Pembrokeshire in the 1970s when the bridge was under construction. The county of Pembrokeshire had previously been divided into two halves, a small car ferry being the only mode of crossing the estuary. On 2nd June 1970 David was having an unremarkable day patrolling around Haverfordwest when an urgent call came through on the police radio. David and three other police officers were immediately dispatched to the town of Pembroke Dock at the southern side of the estuary. Dashing to the scene, they arrived to find the partially built bridge, had all but collapsed. The sections of the structure were still attached, but had partially fallen, tipping forwards on to the muddy bank of the estuary far below. The black and white images I’ve seen remind me of the shape of a giraffe’s neck reaching forward as if to take a drink from the river. Recalling the traumatic events of forty-five years ago, my father-in-law’s face reflects the strain of that day as he tells of the ambulances arriving to ferry the injured and dead to the County Hospital. He doesn’t go into detail. The reason for the disaster? A cantilever being used to place one of the 150 ton steel box girders into position had collapsed. Later the cause would also be attributed to inadequacies in the design of a pier support and operational failures. Eventually a new British Standard for bridge building would be developed as a result. That Claddau was the last major bridge construction disaster in the UK, will be of small comfort to those directly affected by the tragedy. Four workers died, their ‘middle’ was interrupted prematurely and without preparation, a ‘good ending’ denied. Five were seriously injured. Dying is inevitable, many feel its the how and why we get there that is more worrisome … If our parents are lucky enough to grow old we are aware of the twilight phase of life and however long he or she is ‘good for their age’, eventually there will be the messy part at the end, hopefully brief. Such thoughts cause most of us to shrug our shoulders, and dismiss the thought. We cross our fingers and hope for a mercifully swift departure. So the prospect of our own death is always there in the background, pushing us on to do what? Live well though the spring, summer and autumn, even the winter of our lives; fuelling the desire to grow and flourish perhaps, to leave in our wake something of value, our offspring or some other legacy. Perhaps it is worth taking a few moments then to consider what influence we might have in the world. If you imagine writing your own eulogy for example, what would you like it to say?